Not too long ago, we had a look at Zorloo’s Digital Earphones. They utilized a DAC (Digital-to-Analog Convertor) into the cable which, in short, meant that the audio output bypassed the standard processing within the phone and was instead improved through the dedicated chip on the cable. They’ve now produced a similar product called ZuperDAC. 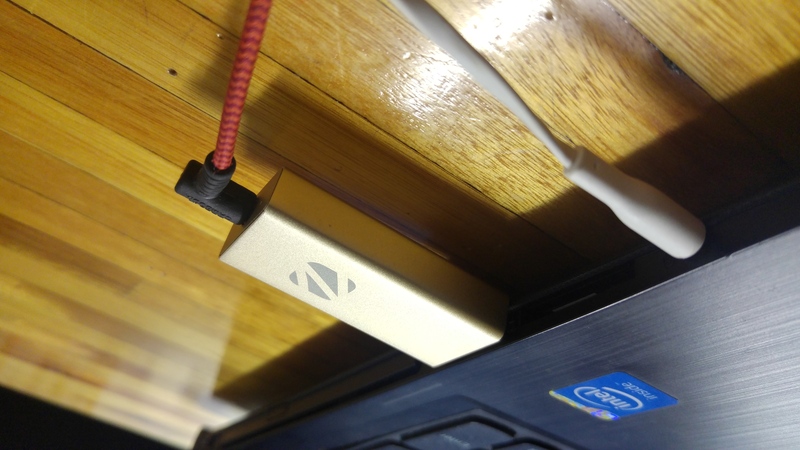 ZuperDAC is a USB stick style audio enhancer. 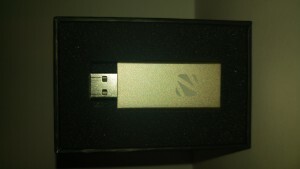 Think of it as your normal memory stick, except with an audio jack on the opposite side and with no storage capability. You can plug it into any USB port that can output audio, which ranges from your standard laptop to a USB On-The-Go supported phone. Plug your headset in, and the audio is again rerouted through the DAC converter, increasing audio quality. How does it size up? The unit comes sealed in a neat little box. With a bit of grappling, the top part comes off to reveal a snuggly nested converter. It shortly became obvious that it is made of premium materials once I took it out. The cold Aluminum build is solid and showed no immediate signs of weakness. Attempting to wriggle the USB tip was futile as it is well built into the model. There is the simple Zorloo logo on top. 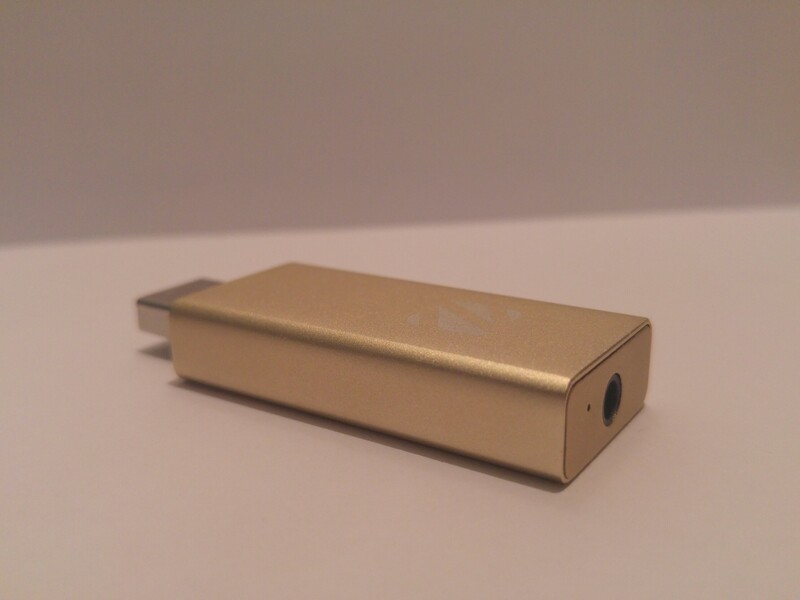 You’ll see the standard 3.5mm audio jack on the other end of the stick, along with a small hole for the status LED. And that’s about it. The product is small, simple and uncomplicated while not being boring at the same time. It’s a sweet spot which results in something pleasing being made. The status LED is simply an indicator of what the stick is busy doing. Red means it is initializing (usually present for a few seconds) and green means it is running without a hitch. It is however very set back into the device and can only be seen if you look at it straight on, which is a great thing as it does not disturb you in a dark environment. Inside the actual product is where the magic happens, though. On the circuitry, you’ll find an ESS Sabre ES9018K2M HiFi AudioDAC. If you’re like me, you probably have no clue what that is and how it stacks up against the competition. So, I read up on various forums and websites, and it became evident that this is a top-of-the-line chip, comparable to the likes of the high-end offerings of Snapdragon and Intel. But what does this specific chip do? 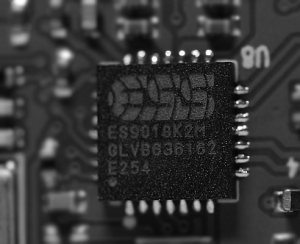 According to ESS’s website, its function is “a high-performance 32-bit, 2-channel audio D/A converter targeted for audiophile-grade portable applications such as mobile phones and digital music players”. It takes the instructions in binary (digital) and converts them to electric signals which drive your speakers. Yes, this happens most of the time, but the exception here is quality. 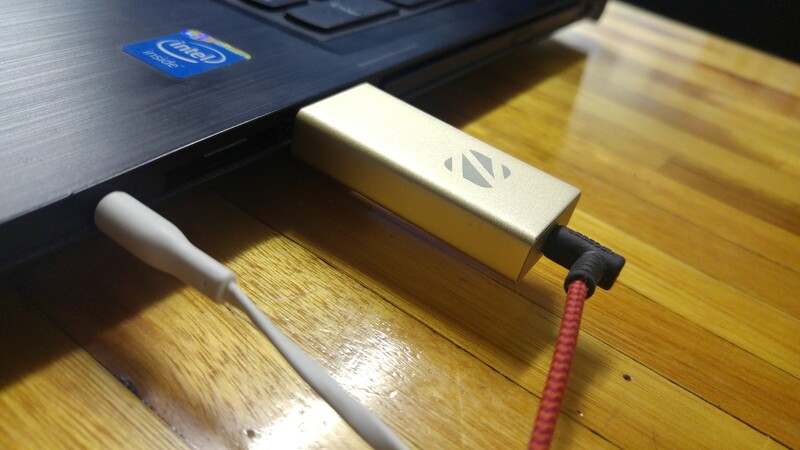 The ZuperDAC, in short, uses a very capable chip to produce some of the best sound possible. On paper, that is. The other chip that Zorloo mentions is the ESS Sabre ES9601 HiFi Headphone Amplifier. This is also a high-level chip that works with the previous one to smooth out the audio experience, including “powering up and down without any clicks or pops”, “maximizing battery life” and “minimizing circuit board size”. If you don’t understand some of that, that’s perfectly fine. All you need to know is that it’s a good thing for the greater audio experience. Something like this, however, is comparably better in terms of audio, but you may be willing to lower your standards for something more portable. There’s only one thing I would like to see different. It would be nice to have a little hole dug out the unit somewhere to hang from a lanyard, like you see on a memory stick. Especially as it’s so portable and may be carried around often. How does ZuperDAC perform in real life? I always love receiving audio-related products. Plugging them in and waiting to see how good the product is results in both disappointments and surprises. Fortunately, it was the latter with ZuperDAC. After a quick download of the driver, I let my mixtape rip, the increased quality caught the attention of my ears and, albeit mediocre, I could definitely hear that it was better than normal. One thing that particularly caught my attention was the decreased static noise in the wee background, particularly on low-quality files. The second time I plugged it in resulted in a slight annoyance. The volume was significantly lower and the volume controls were playing up, as it showed the volume as off on my laptop sceen. Putting it back in again soon rectified these problems and I believe it is an error with the Windows drivers as this did not happen on Ubuntu. I am happy to report that this has not happened again. Coming back to the audio, the DAC did not have a set audio output in terms of favoring bass or treble. Depending on your headset quality, this effect differs. Using a standard LG QuadBeat 3, a standard quality pair, both sides were equally affected. Using a higher-end Beyerdynamic DTX350P, the fuller potential of the set were realised as the bass was more heavy and affected more than the treble. This being said, any improvements were slight and were not overdone. They were minimal but sufficient to make a substantial difference. It was also particularly effective at bringing out small details that I never before noticed. There really are no negatives here. It does as advertised and offers a viable alternative to a full-blown DAC set. It would’ve been nice to see smoother drivers and maybe even an equalizer designed for ZuperDAC that can be used on your PC. 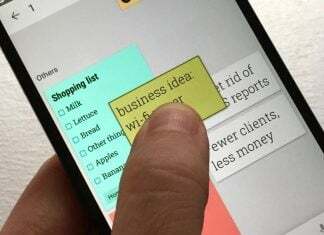 Now is a good time to state that you can use it with Android and iOS. Granted you have the adequate adapter cable (I did not in my case), you can connect your headset through the ZuperDAC audio jack which in turns goes into the USB OTG cord into your respective charging port. This is an alternative to Zorloo’s digital Earphones, in case you would like keep your specific headset. 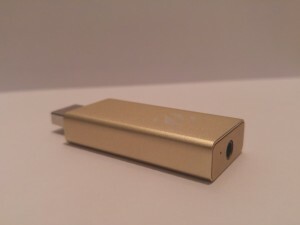 It will set you back a fair $79 ($74 + $5 for shipping) and is available in Gold and Silver. Keep in mind that this is a substitute for that big ‘oil DAC I was talking about earlier, which will save you both space and money. 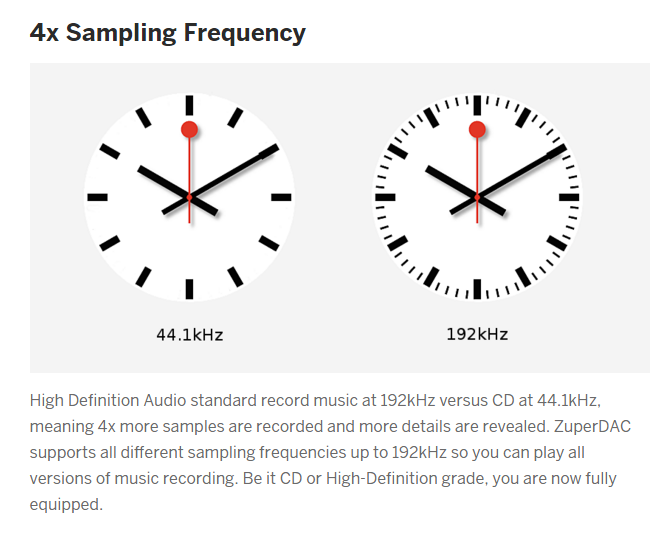 Zorloo has created a nice product for your average consumer looking for perhaps a little bit more boom in their music without having to go all out. The strong, premium build of ZuperDAC is certainly pleasing. The price tag is complimented by the utilized audio chips and resulting audio quality. If you are not an audiophile, you may be daunted by the price tag. All I can say is, don’t be. 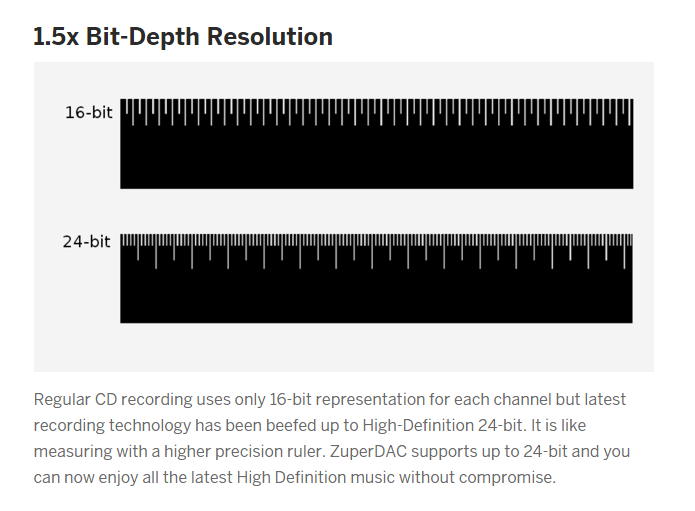 A high-end DAC can cost thousands of dollars, and while you may not be getting the entire package with ZuperDAC, it certainly is something designed for the average person. In this case, that is probably you. You can purchase a unit here at Zorloo’s website, in either Silver or Gold.